Providing distribution excellence in Pharmaceutical, Over-the-Counter, and Related Products. Serving Greek pharmacies for over 25 years. 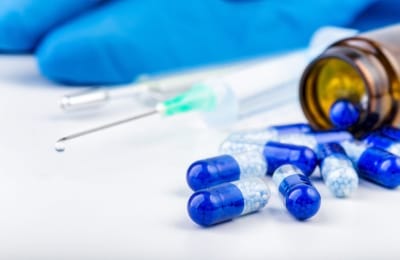 CosmoFarm utilizes the latest technology in pharmaceutical storage and retrieval systems to ensure the quality and accuracy of its distribution. Our facility utilizes ROWA technologies to automate our procurement, inventory management, & order execution. ROWA boasts a zero-error rate, faster order picking, and automated order picking process. CosmoFarm S.A. began operations in 1994 with the vision of providing excellence in pharmaceutical distribution. Through the years we expanded our product offering to service the full range of products that are found in pharmacies today. We stay in the forefront of quality assurance and accuracy by investing in the most innovative machinery and software available to pharmaceutical distributors. Our commitment to serving our clients and the safety of our community is our priority. We strive to respect the environment by recycling all paper and plastic products while running an efficient facility. CosmoFarm distributes a full range of pharmaceutical products and provides over-the-counter products. We also offer a full range of cosmetics, nursery, and dietary products to pharmacies at the most competitive prices. Our company supports all its customers with special product offerings, seasonal products, & all the top brands & trending products. The authenticity and quality of our products is our priority. Our experience and in-depth knowledge of the Greek and European markets ensure our customers have access to high quality products and guarantees the accuracy of our distribution services. 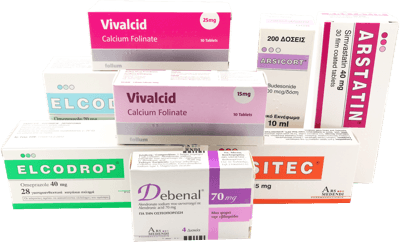 We carry the full range of OTC products to service our pharmacies. Our OTC products are handled with the same care and high standard we use to distribute and store our prescription products. CosmoFarm provides distribution and warehouse services for pharmaceutical companies and others in the healthcare industry. Our facilities, equipment, and processes are regularly evaluated for adherence to regulatory pharmaceutical requirements. Our quality management process includes internal audits, management review, and trend monitoring which ensures quality and service our customers can trust. Multiple storage conditions such as coolers, freezers, humidity control, etc. We thank you for your interest in our company and will answer your questions as soon as possible. If you have an inquiry about any of our products or services, please get in touch by calling us at 211 211 2270 or completing the contact form. 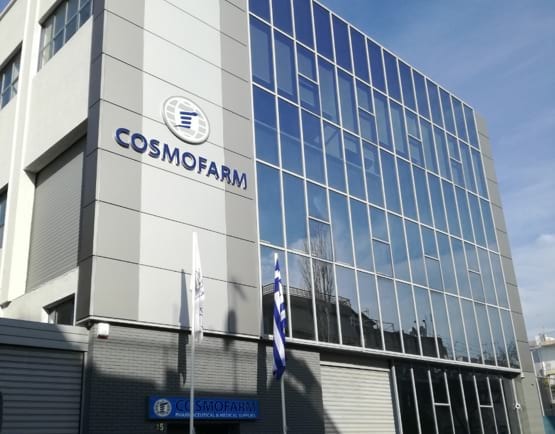 CosmoFarm is a fully licensed pharmaceutical wholesale company operating in the greater Athens area. 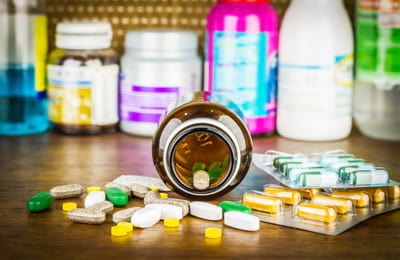 CosmoFarm’s core activity is sourcing, procuring, and distributing branded and generic medicines, over-the-counter (OTC) pharmaceuticals, food supplements, and medical devices to its growing network of more than 1130 pharmacies. To understand how our site visitors use the website. To understand where our site visitors are coming from. To produce heatmaps of which elements of the website are used most by our visitors. To prevent unauthorized access, maintain data accuracy, and ensure the correct use of information, we have put in place appropriate physical, electronic, and managerial procedures to safeguard and secure the information we collect online. When you enter sensitive information (such as credit card number) on our website, we encrypt that information using SSL technology. We do not hold your credit card information. It is collected by our third party payment processor Stripe and PayPal. Both payment processors specialize in secure processing of credit/debit card transactions and comply to the highest security standards. If you have any questions about the security, please contact us at the address listed below. We do not sell, trade, or otherwise transfer to outside parties your personally identifiable information. This does not include trusted third parties who assist us in operating our website, conducting our business, or servicing you, so long as those parties agree to keep this information confidential. We may also release your information when we believe it is appropriate to comply with the law, enforce our site policies, or protect our or other rights, property or safety. We may contract with third-party service providers to assist us in better understanding our site visitors. These service providers are not allowed to use the information on our behalf except to help conduct and improve our business.